Inevitably, we always end up with a bunch of bananas on the counter that are over-ripe. There are many different ways you can use them: banana muffins, banana pudding, banana cream pie, banana pancakes. All of these get better the riper the banana. By far, my favorite recipe to use over-ripe bananas in was inspired by this recipe I found via Food Network. I follow the measures in the base of the Flour’s recipe to the letter, as you should when making any baked good (being specific with measures, that is). Then I make a few tweaks here and there, based largely upon what’s in my fridge and pantry on the day I feel like baking. For example, I’ve found that you can adjust the amount of bananas a bit, remove one or add an extra, and it doesn’t seem to affect the end result: an amazingly moist, satisfying, not-overly-sweet, version of an American favorite. And, adding a couple handfuls of chocolate chips to the batter is delightful! What can be better than bananas, nuts, and chocolate in a cake-like bread? When I made the recipe recently, it—once again—proved to be simple and adaptable! I realized I didn’t have crème fraîche OR sour cream, so I had to get crafty. This is where it comes in handy to have a one-year-old in the house, because I found the perfect substitute: YoBaby whole milk banana yogurt! I made a double batch tonight, so one full container equaled about four tablespoons, which was the exact right amount for this recipe. The very best banana bread EVER. Set oven to 325°F. Grease 2 large loaf tins with non-stick spray or butter. Sift together the flour, baking soda, cinnamon and salt in a mixing bowl. In a stand mixer with a whisk attachment, beat the sugar and eggs until light and fluffy, about 10 minutes, and then drizzle in the oil. Replace the whisk attachment with the paddle attachment. Add the mashed bananas, yogurt, and vanilla and mix for 30 seconds. Add the dry ingredients and mix the batter until the everything is just combined — take caution to not over-mix. 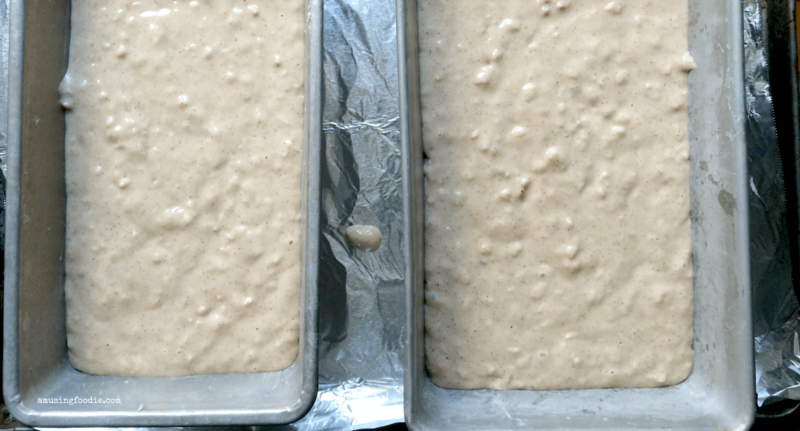 Pour the batter into the prepared loaf pans, filling each about ¾ full. Bake for about 45 minutes, or until a toothpick inserted in the center comes out clean, and the tops bounce back after gently pressing with your fingertip. Let the loaves cool on a wire rack for 15 minutes, then turn them out of the pans to finish cooling completely. Chocolate chips, shredded zucchini and/or nuts make a wonderful addition to the batter! 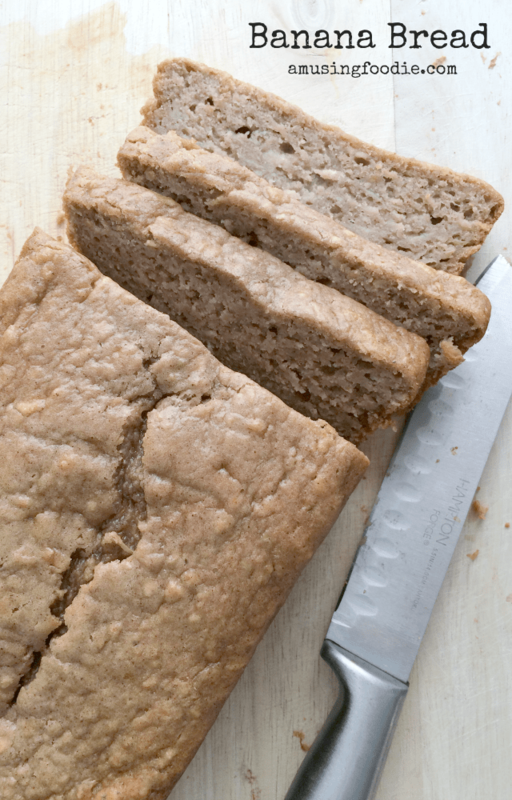 This recipe has been adapted from Flour's Famous Banana Bread recipe. 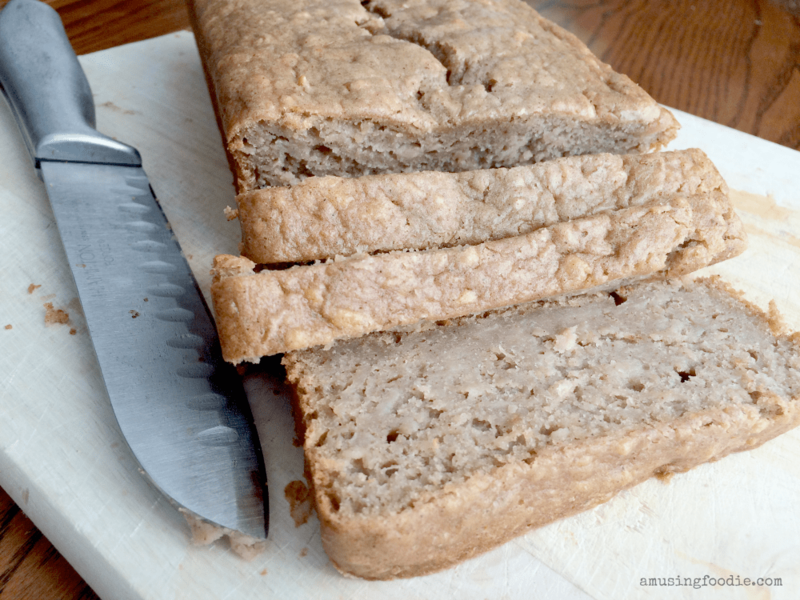 I have a recipe for a gluten free spiced banana loaf that I really enjoy. Not sure it would be worth sharing, purely for the fact that I’m sure you don’t keep the same type of flours on hand! That recipe sounds wonderful, I wonder if I can tweak it and make it GF. Yeah, when we were changing our diet during the Lyme stuff, we almost had to go gluten free. Luckily, we didn’t have to! Let me know how the recipe turns out if you do try it that way – it’s very versatile all the other ways I’ve changed it! Yes! Please take some! 🙂 I’ll give you some tomorrow…. Used the recipe w/o choclate and it is great. Better than my old banana bread recipe. Thanks. Michele – glad you liked it! Amazing how moist it is…and it keeps well too.